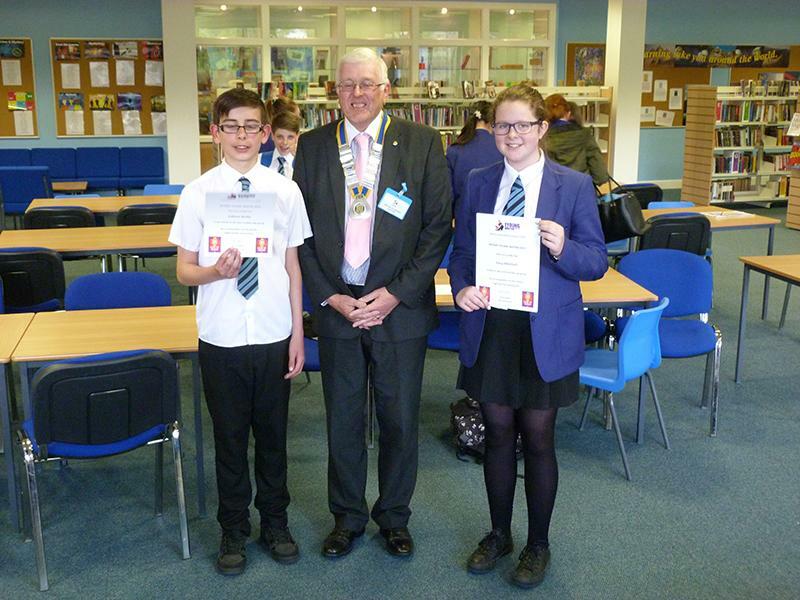 A presentation for the 'Rotary Young Writer Competition 2014-15' took place at Grove Academy, on Monday 18 May. The competition required pupils to produce a short story in prose, entitled 'Light up the Community'... 'We should all be responsible for helping each other and improving our community'. 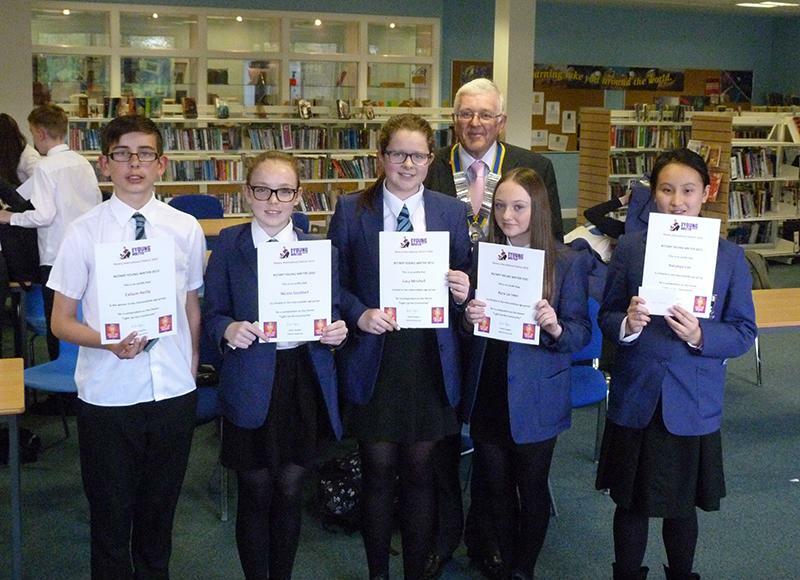 Nineteen first year pupils from Grove Academy entered the 'Dundee Heat' of the competition at Intermediate Level. Everyone will receive a certificate in recognition of their efforts. 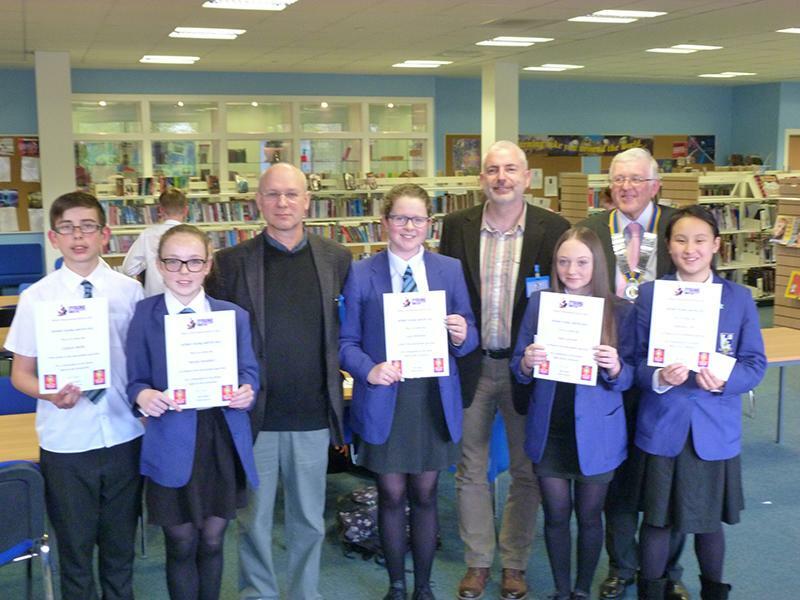 The competition judges, Bill Herbert, Professor of Creative Writing at Newcastle University and Dundee's first Maker, and Andy Jackson, Librarian, Writer and Editor, at Dundee University, were very impressed by the high standards of creative writing in the submissions from the young pupils. Five of the 19 contestants, representing the five Rotary Clubs in Dundee and District – Abertay, Dundee, Dundee Discovery, Claverhouse and Monifieth and District, will receive a 'Certificate of Excellence' and a Gift Voucher. President Iain Ross of Claverhouse Rotary will present these awards. The five submissions from these contestants were entered into the next round of the competition, the 'District Competition'. The Winner of the District Competition was thirteen year old Callum Reilly, with Lucy Mitchell in third place (both from the Grove). They will each receive a certificate, signed by the Rotary District 1010 Governor, Keith Hopkins, plus a small monetary award. Callum's entry has now been submitted to the Regional Final to be held in Essex.